Posted in Comparison, Mainstream Polish, Manicures, Nail Swatches, pictures, reviews	by Jessica W.
Oh my gosh, Wednesday already. I’m so ready for this week to be over, to be honest. The weather hasn’t been the greatest and my older two kids are driving me nutty! Anyway, vacation will be over soon, thankfully. Today I have a comparison of Sinful Colors Nice Guise (2122) to Sinful Colors Nova (1137) and What’s Your Name (813). Nice Guise is a teal blue base with teal, blue, and gold glitters. This is 3 coats. 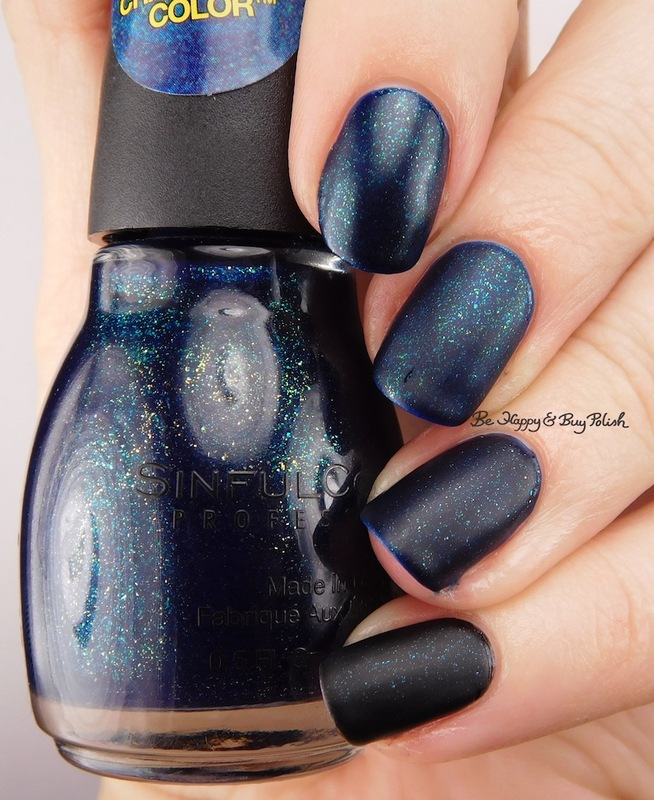 Nova is close to Nice Guise but has a darker blue base, and not as much gold or green glitters. 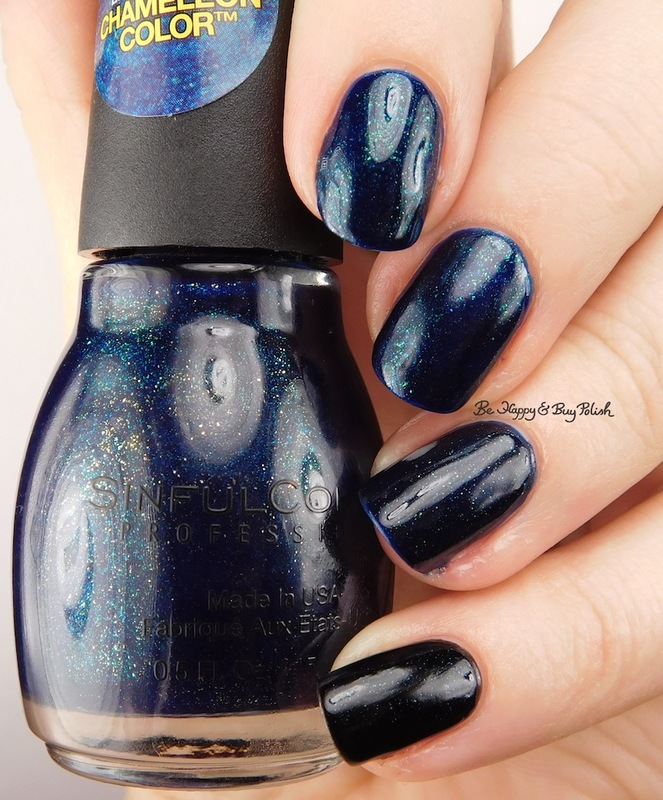 What’s Your Name isn’t close to Nice Guise at all, it is a black base with slightly color shifting micro flakes; they shift from blue to green to purple – but it’s seriously impossible to capture or tell even on the nail because of how small the flakes are. With matte top coat, it’s easier to see the difference in the base of the polishes. From top to bottom: Nice Guise, Nice Guise, Nova, What’s Your Name. The differences are still noticeable when shiny top coat is applied, but not as much between Nice Guise and Nova. I think Nice Guise is my favourite!